Today was a two-fer: I found two interesting techniques for working with Python. I needed to test a web server, and wanted to send concurrent HTTP get requests. (The problem was that the web server was failing sporadically when hit by a browser, even though individual requests for pages always worked.) I found two libraries that allowed me to write the test code in well under an hour. multithreading.dummy library: Because I wanted to send multiple, overlapping HTTP requests, I figured I’d have to get into threading the Python program. Yuck… I found a great article on Medium https://medium.com/building-things-on-the-internet/40e9b2b36148 that showed how to use the (little known) multithreading.dummy API of Python’s standard multithreading module to trivially (as in, four lines of code) multi-thread the requests. While chatting with people who play hockey just for the pure fun of it, especially those who are no longer whippersnappers, I am amazed that hardly anyone knows about this essay from the New Yorker magazine. Charles McGrath wrote this gem for the Shouts & Murmurs column of the 4 October 1993 issue. Update: Good news! I am now able to get onto the 5GHz SSIDs. What changed? I rebooted my router, and it now seems OK. So I may have cried Wolf about this problem, and incorrectly blamed Mavericks. The problem seems to have gone away after the router reboot. Whew! I still don’t know why I got the message that the previous connection was “open” not wpa2-personal. But I’ll take it. I upgraded my 2.3GHz MacBook Pro to Mavericks yesterday, and had trouble with Wifi on 5Ghz. I’m using a Netgear WNDR3800 using the CeroWrt firmware. It had previously worked great on both the 2.4 and 5 GHz channels for this computer, and the others in my house. 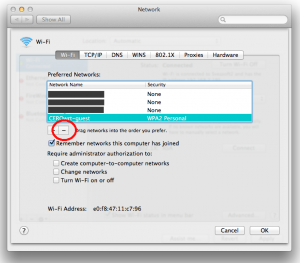 That’s not correct – up until the upgrade, that SSID had definitely been WPA2-Personal. So after casting about (turning Wifi on/off, etc). 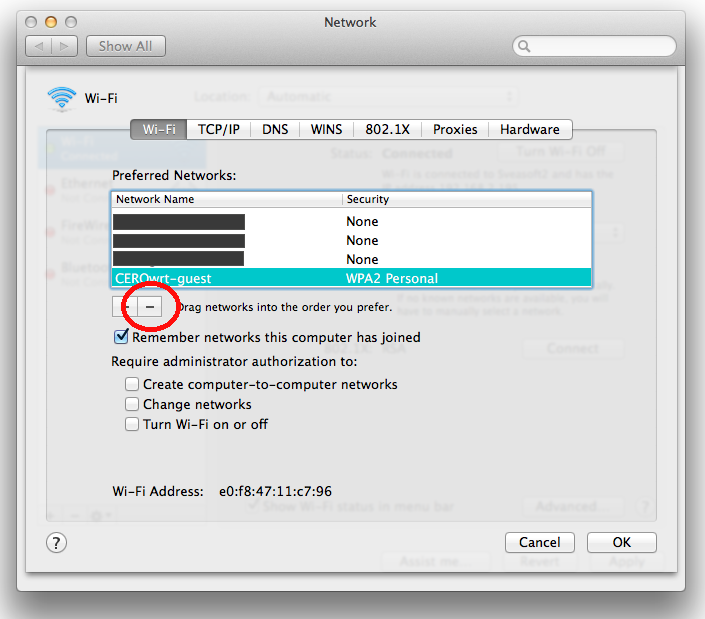 I finally went to the System Preferences and removed the SSID by clicking the “-” button from the Wifi-Advanced settings. But this doesn’t seem to have solved the problem: Now I see a message, “The Wi-Fi network ‘Cerowrt-guest5’ could not be joined.” when I select that SSID from the Wi-Fi menu. So I’m stuck. 2.4GHz works fine (both on an open SSID, and one with WPA2-Personal), but I have not been able to make 5GHz work. No workarounds yet, and a quick scan of Apple’s forums don’t have any indication of a fix. See Update above – things are working fine after rebooting my router.